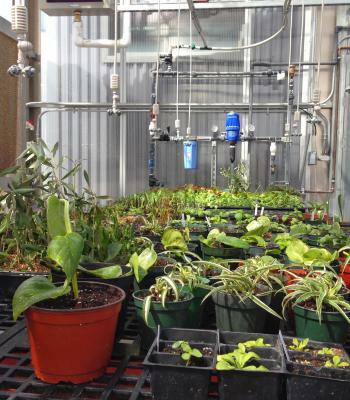 The LSSA Greenhouse Conservatory serves two functions: as a teaching tool for University of Arizona courses and as a recruiting tool for LSSA and SPLS. 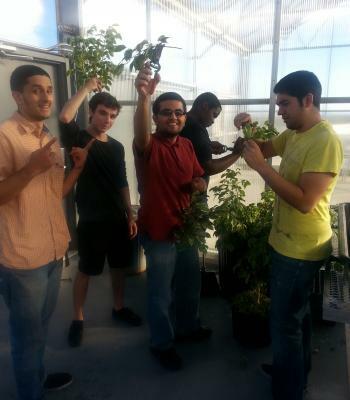 Unlike other greenhouses and exhibits which are located far away, the LSSA Greenhouse Conservatory in located directly on campus; therefore students often stop by the greenhouse in between classes. 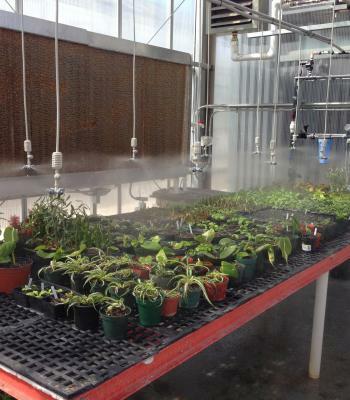 The LSSA will propagate numerous species of flowers and herbs for sale at local farmer’s markets. We will also propagate Koeberlinia spinosa, Agave parviflora, and Fero covillei for use at the Native Plant Nursery. The UA Community Garden represents a significant investment of time and money by both the UA administration and by UA Student Sustainability leaders. The programs have attracted many novice gardeners eager to develop the knowledge and skills required for the challenge of field vegetable production in the southwest. To support the efforts of the Community Garden, gain experience with field vegetables, and provide gardener resources, LSSA has partnered with the UA Community Gardens.